ntique flame mahogany chest of drawers circa 1860. 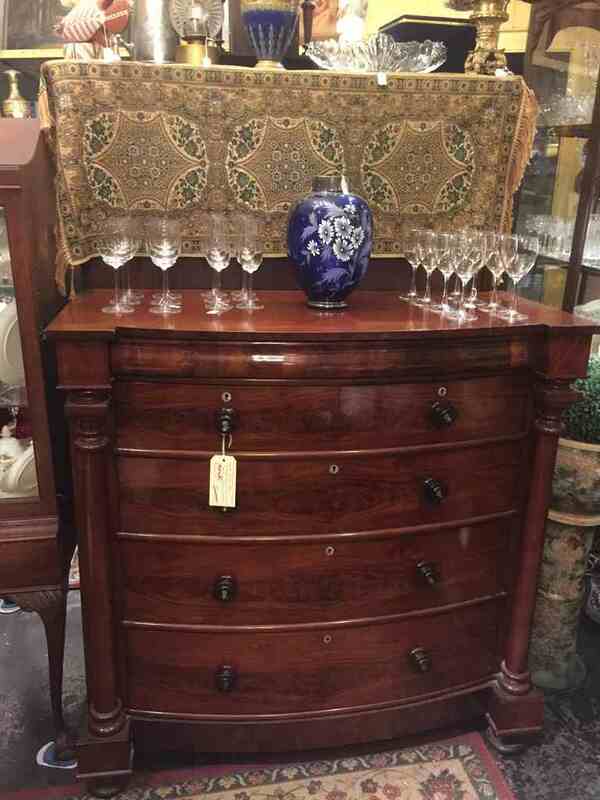 Excellent original condition featuring full length pillars flanking a central row of 5 large drawers including top, secret drawer. This impressive, handsome chest of drawers is of the highest quality. Another excellent example of good quality antiques in Melbourne, available from Old Post Office Antiques, Melbourne’s best value money antique shop.